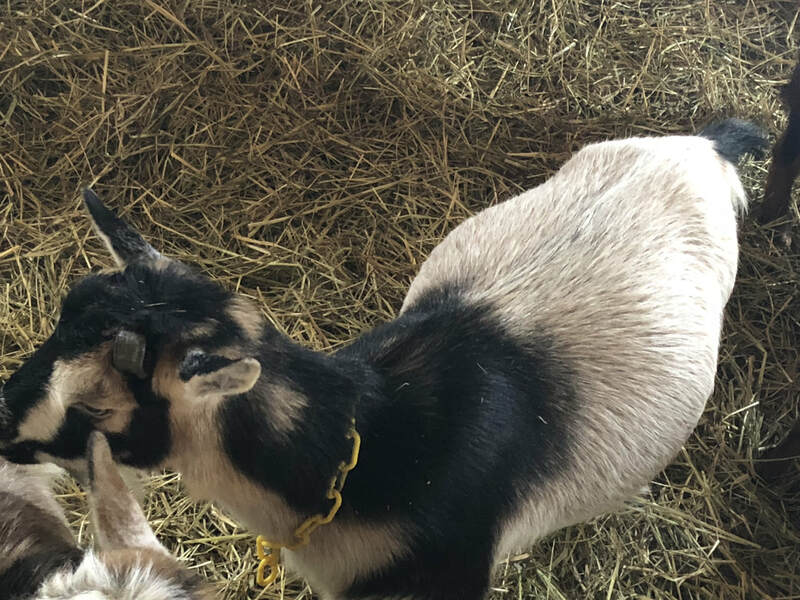 On The Dancing Farm our dairy goats are vital members of our extended Family and they provide all of our milk. 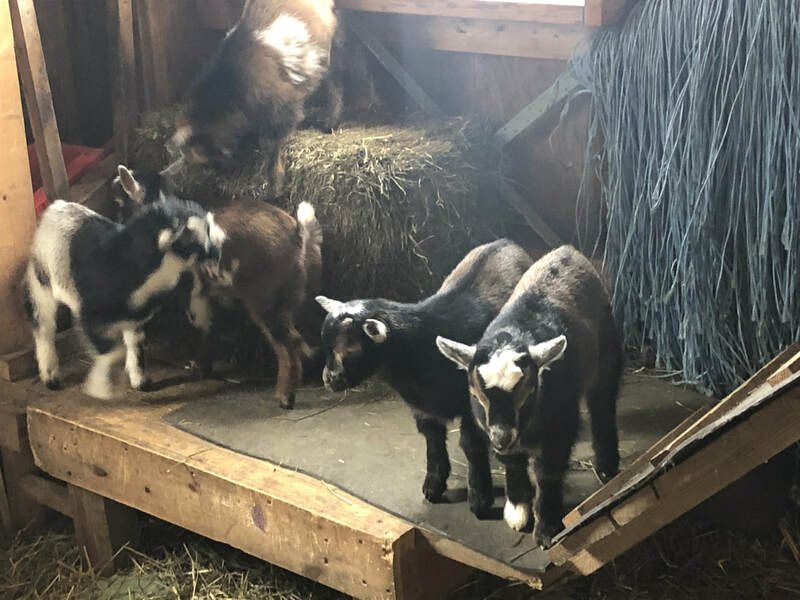 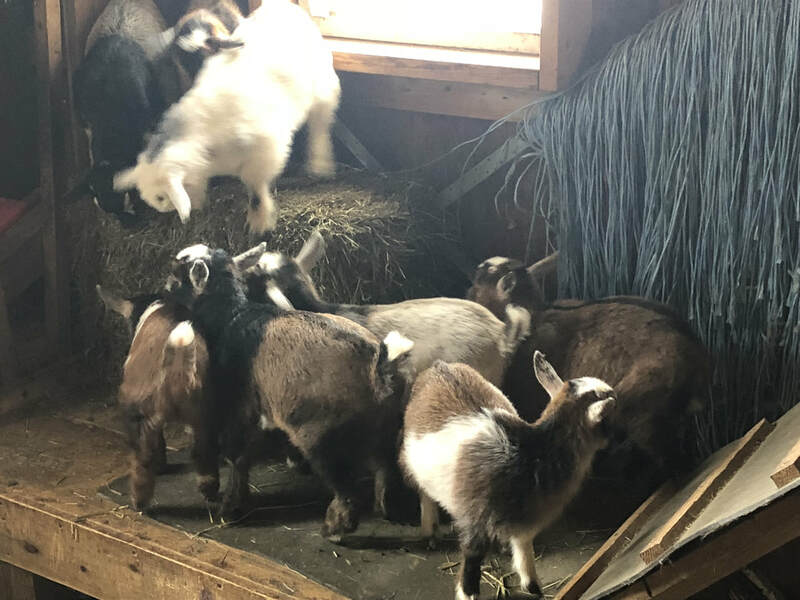 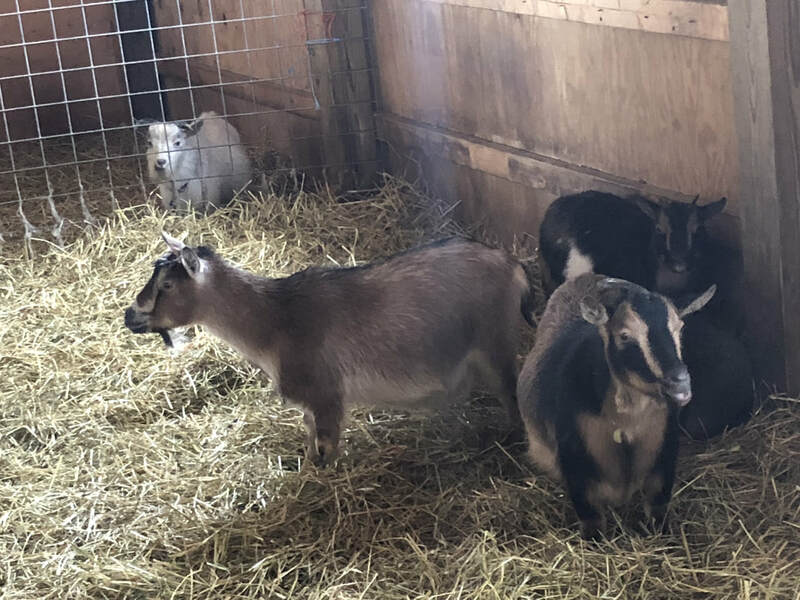 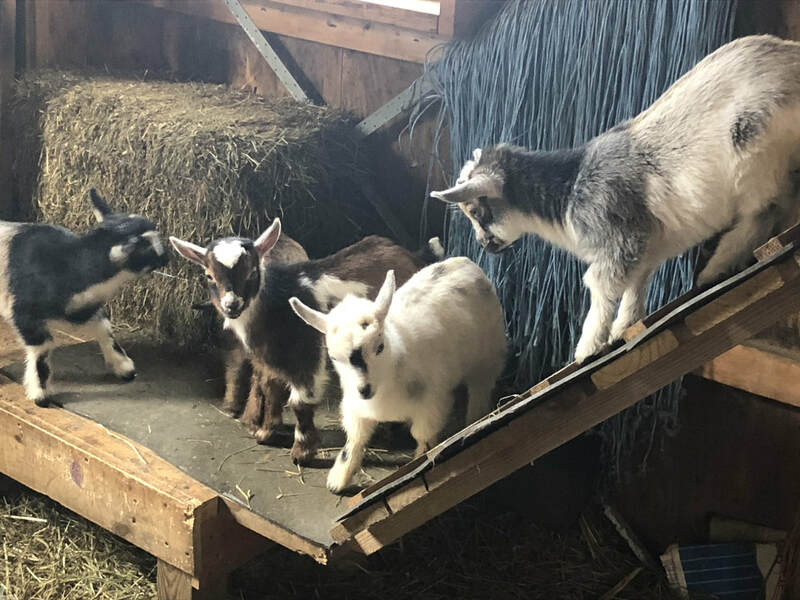 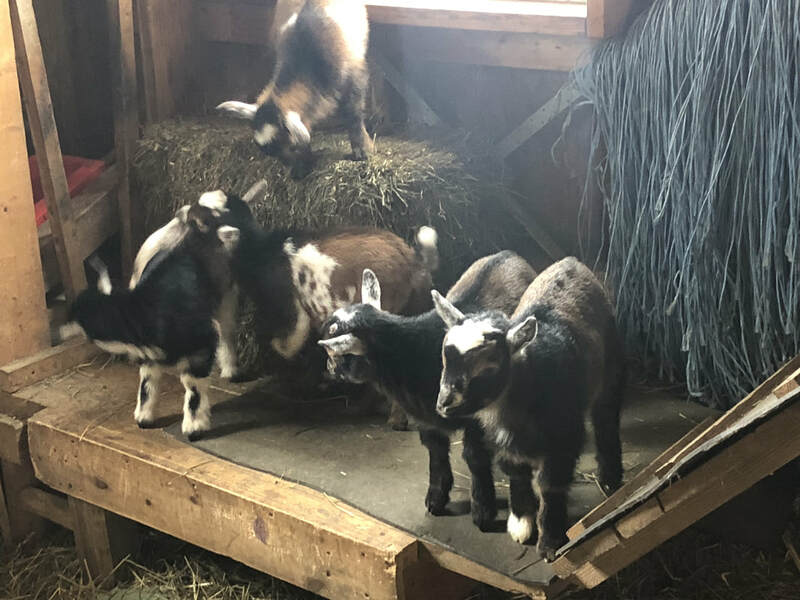 Our Herd consists of Nigerian Dwarf Goats and Nubian-Guernsey Cross Goats. 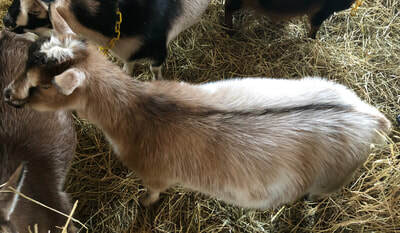 Our breeds were selected because of their personalities, size and Milk production. 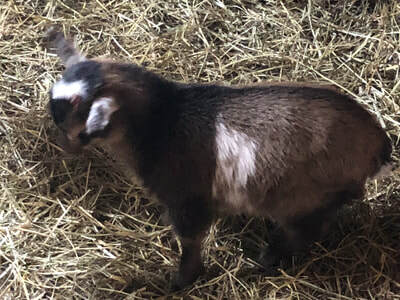 The Nigerian Dwarf goat is a miniature breed, but also one that produces a lot of milk for it’s size. It is one of the top choices for those homesteading on a small piece of land. 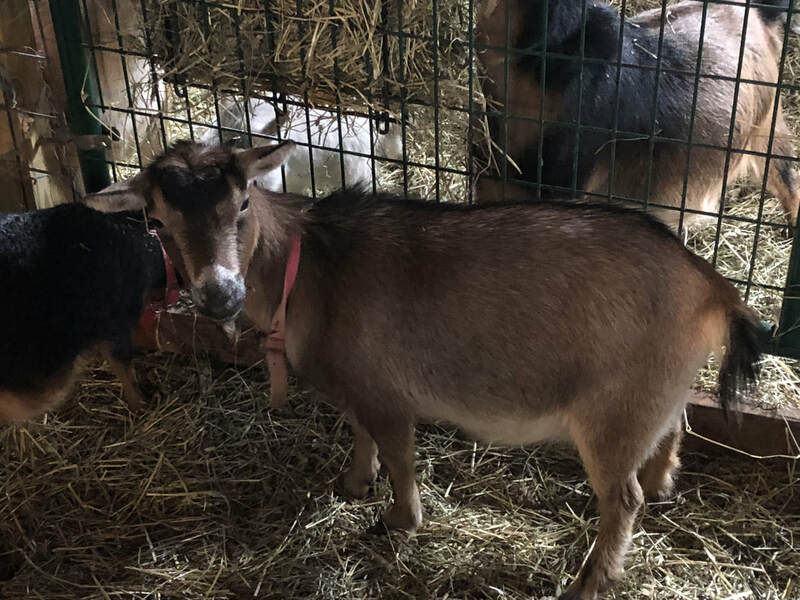 They can give from 1-2 quarts a day- which is pretty impressive considering they are only around 18 inches in height! 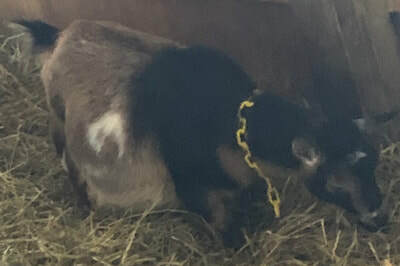 Their milk is also one of the highest in butterfat which ranges anywhere from 6-10%. 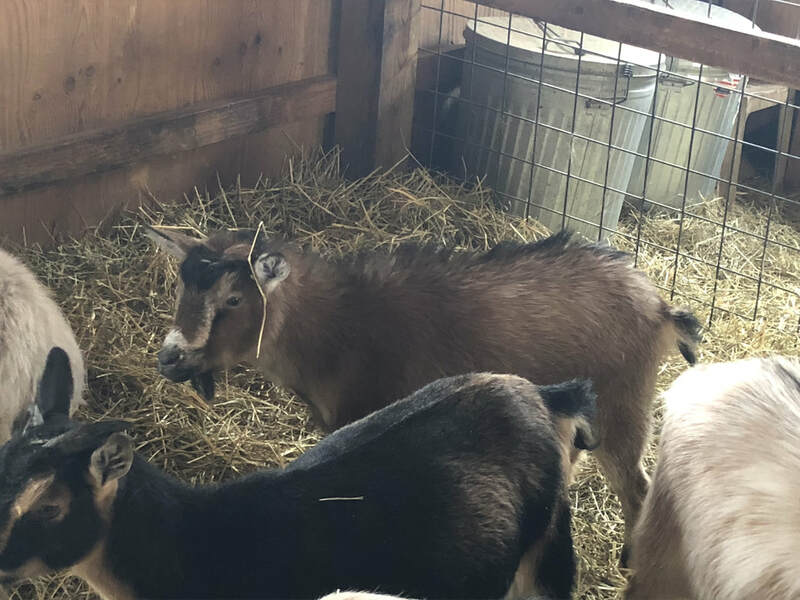 That means their milk is very creamy and makes delicious cheese, ice cream and yogurt. 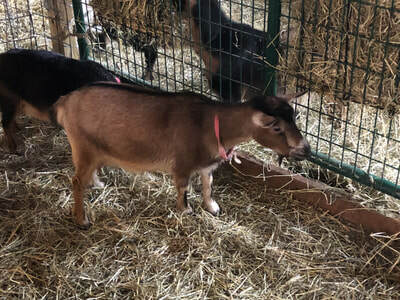 Because of their size they make great goats for kids as well as those in a more urban setting. 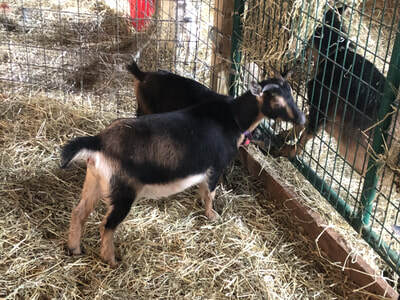 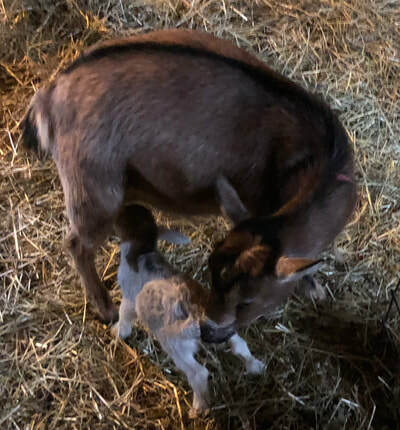 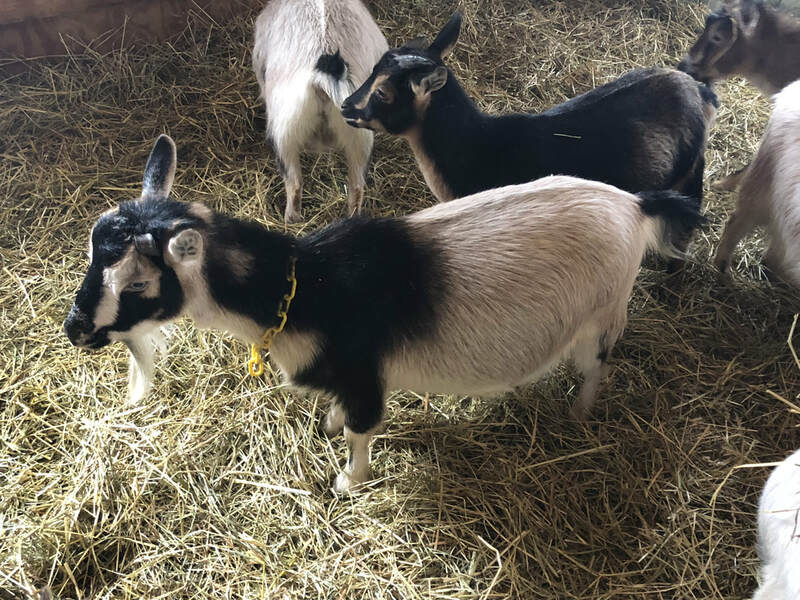 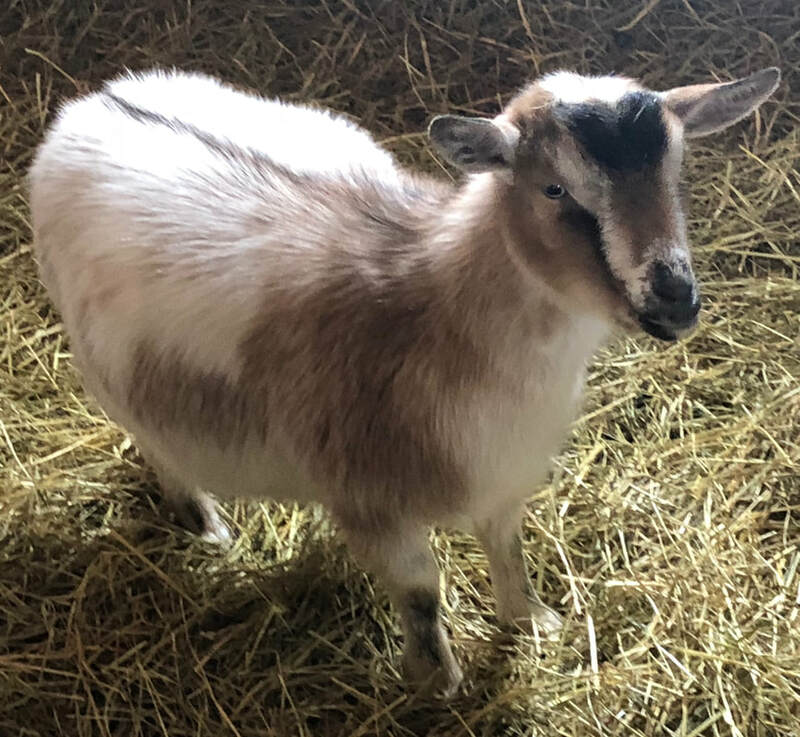 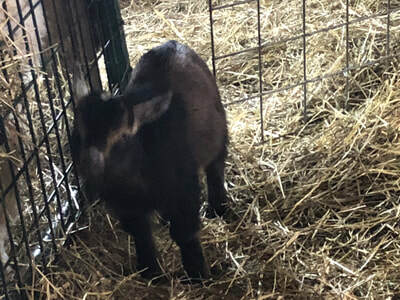 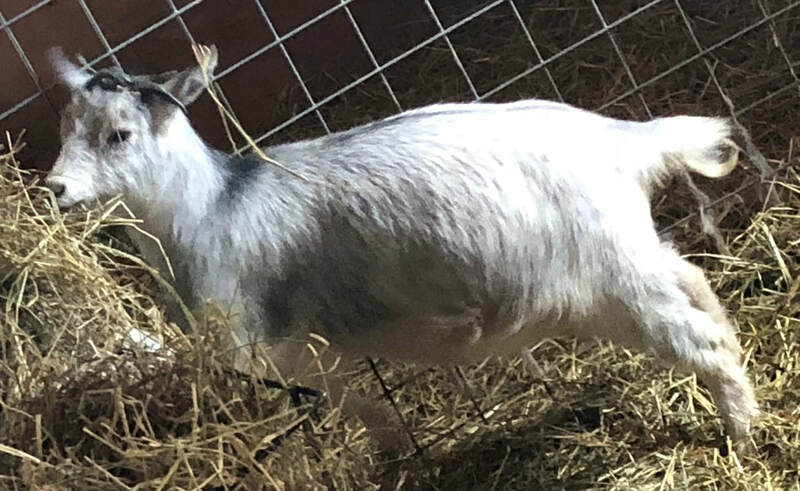 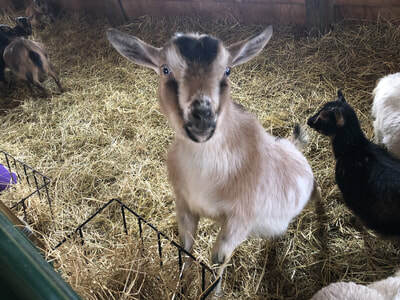 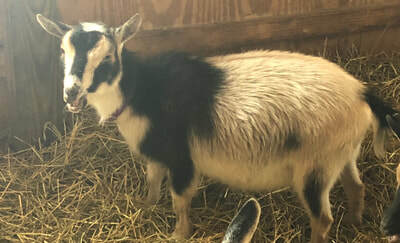 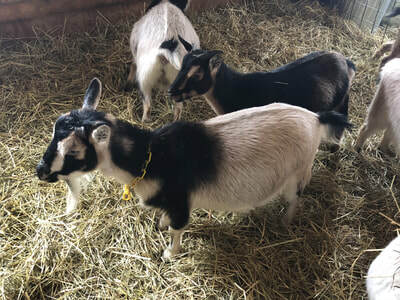 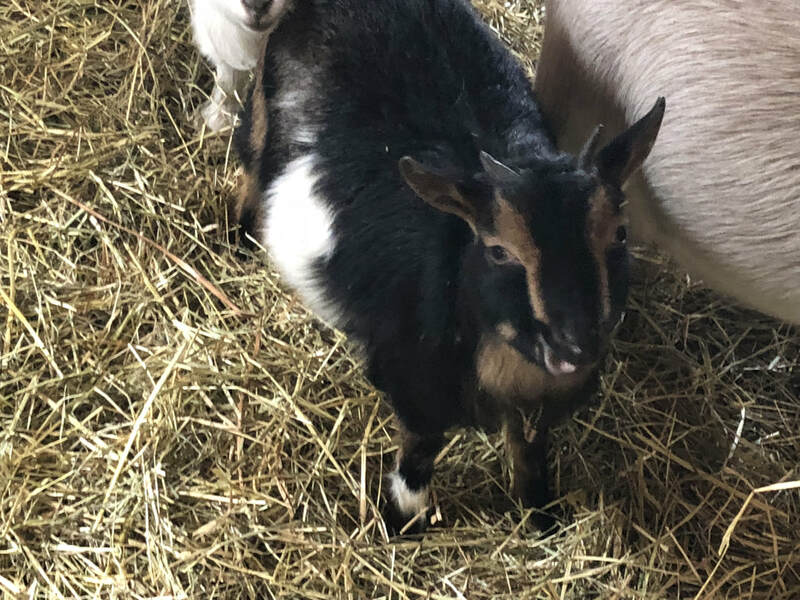 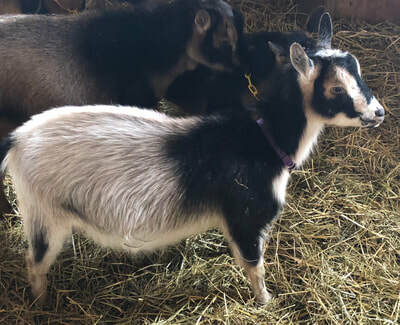 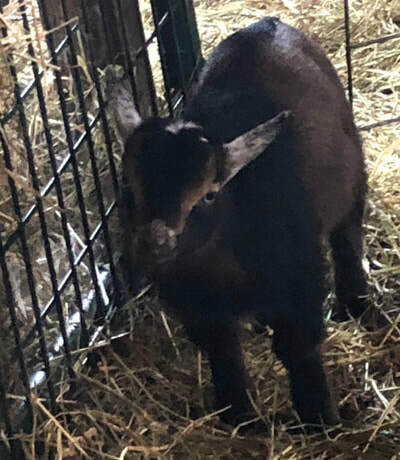 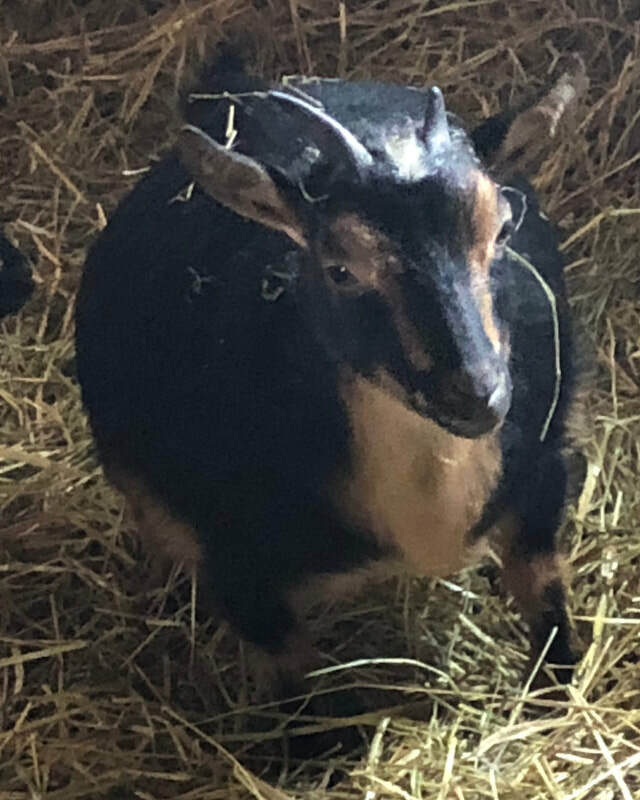 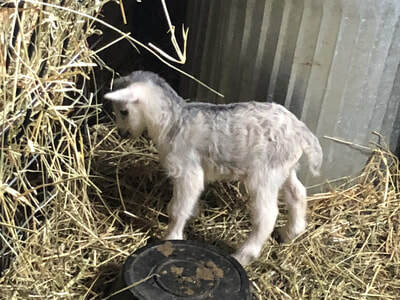 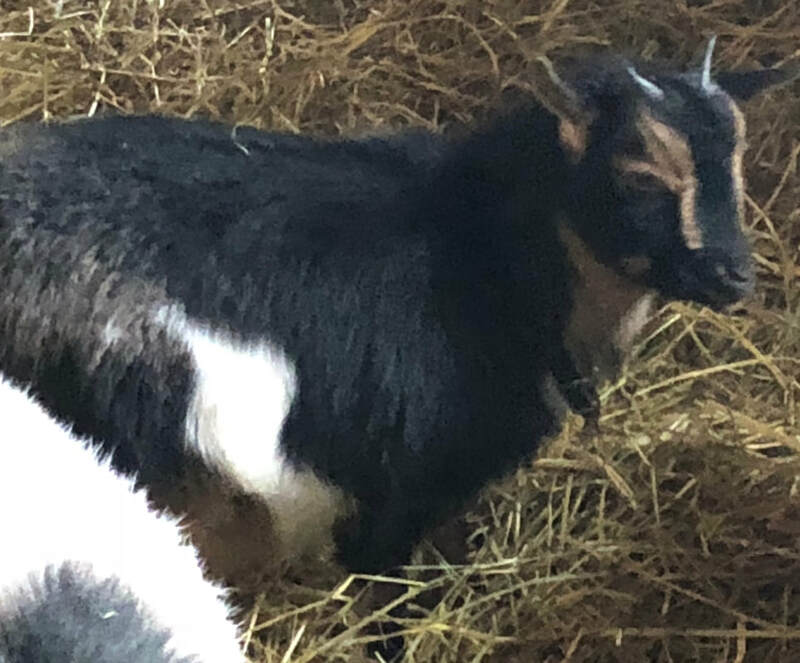 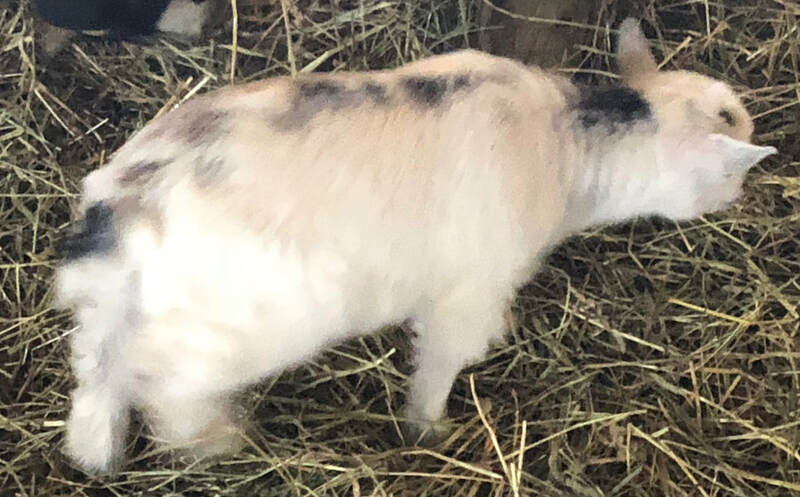 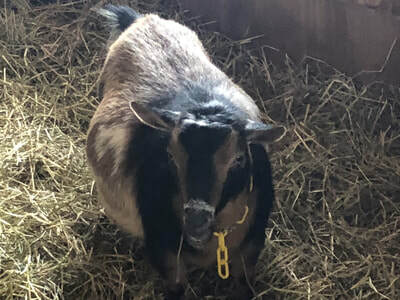 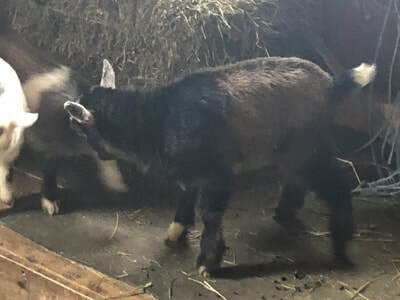 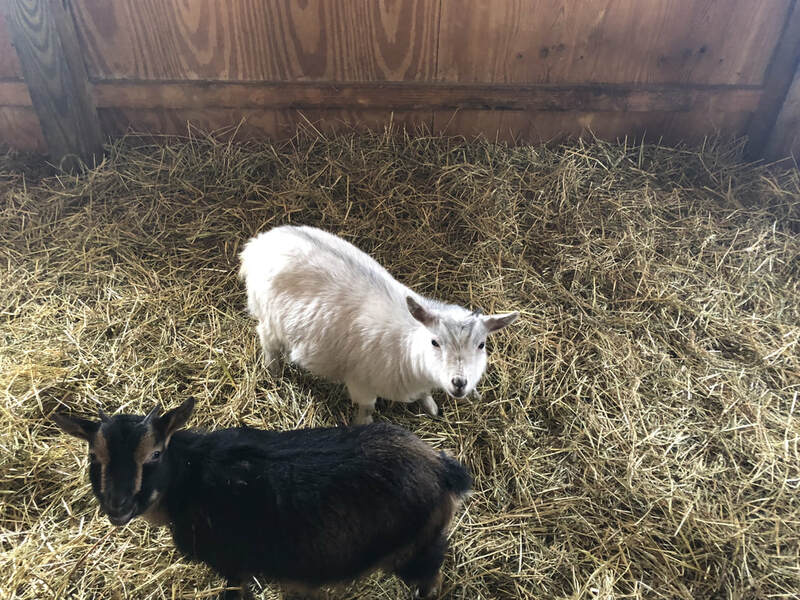 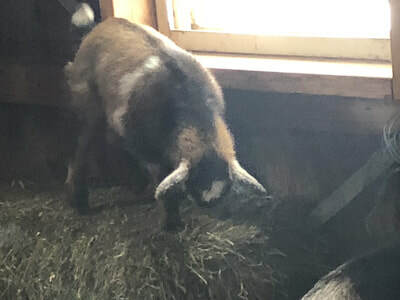 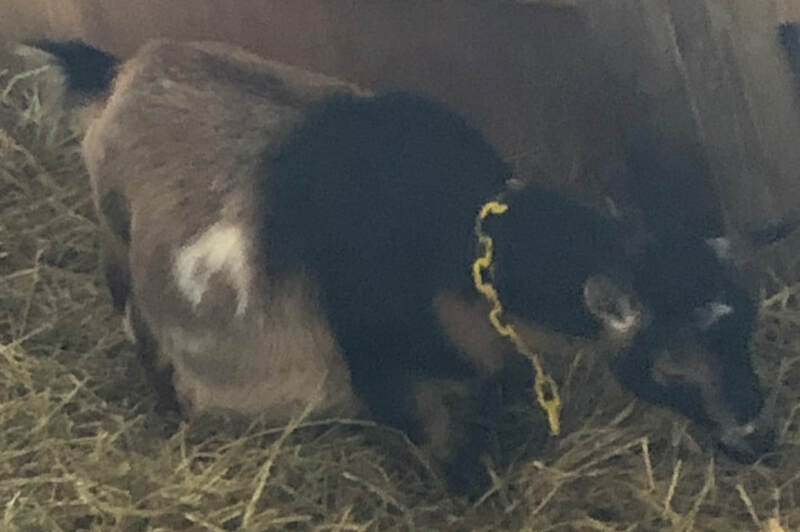 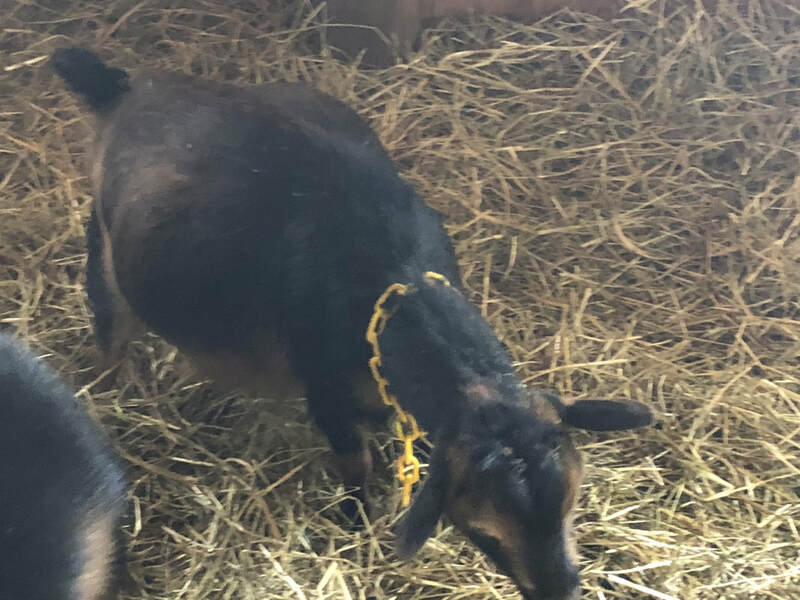 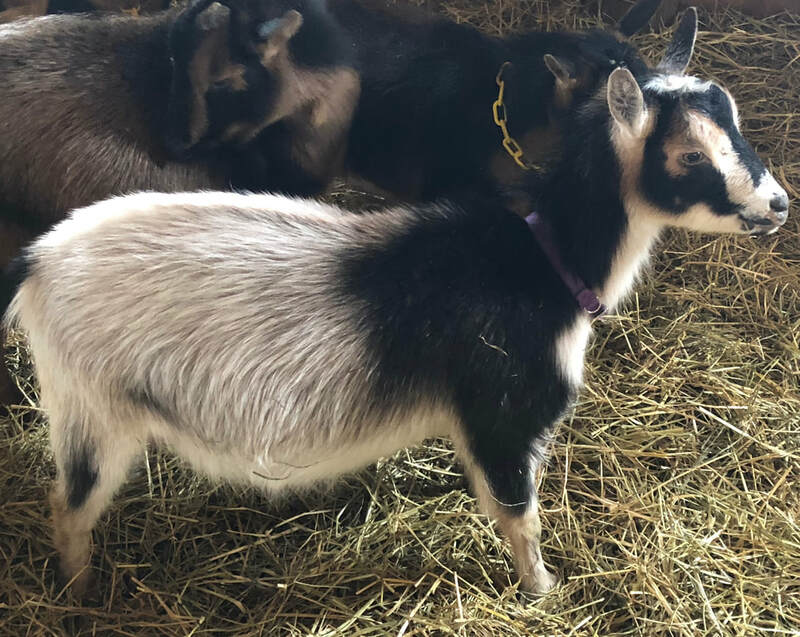 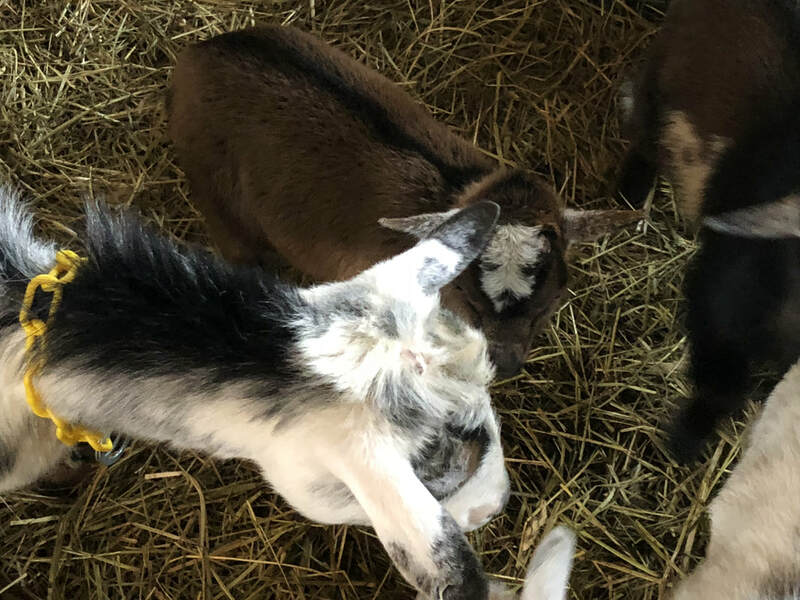 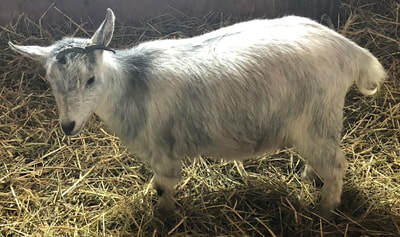 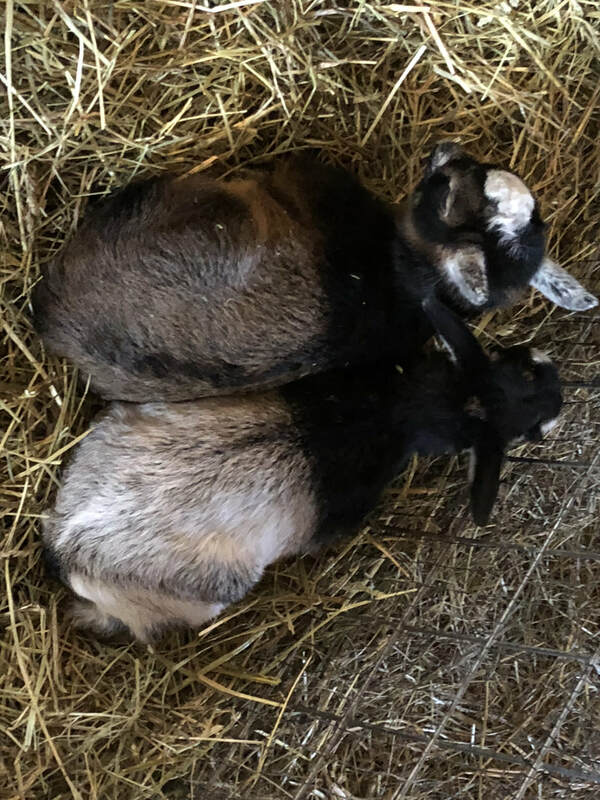 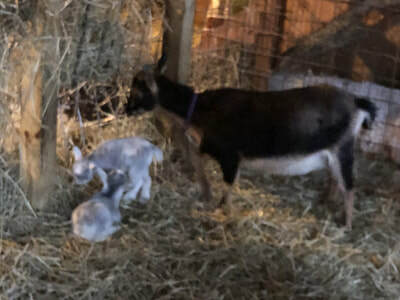 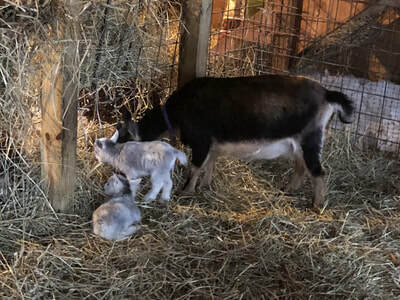 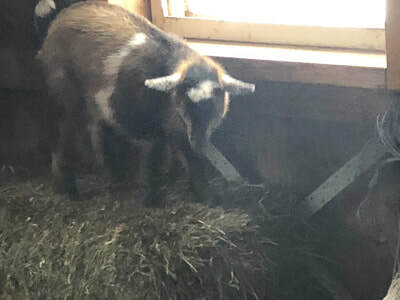 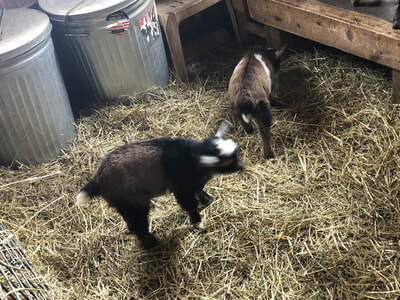 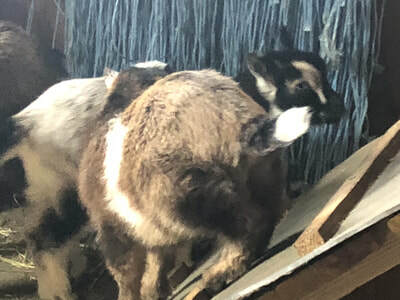 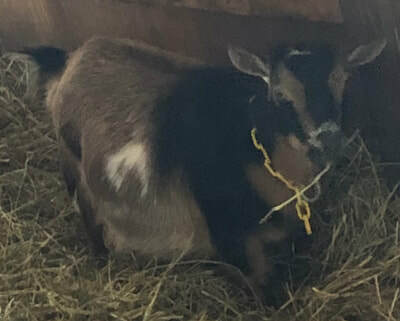 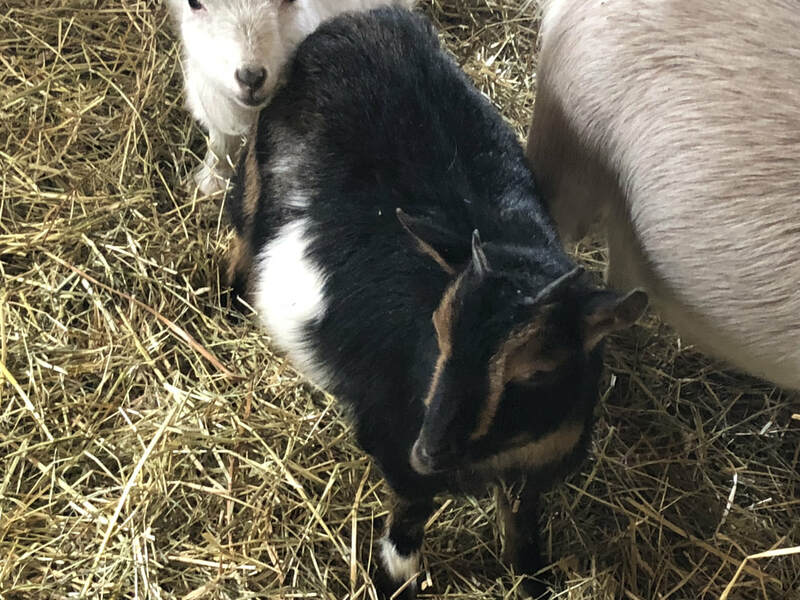 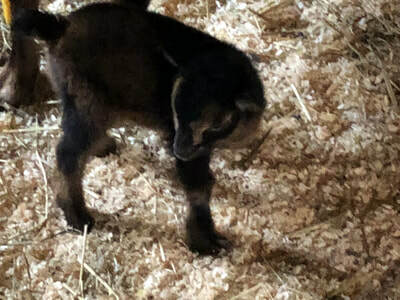 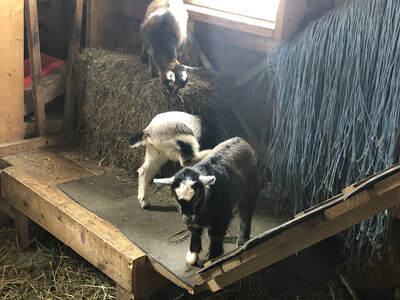 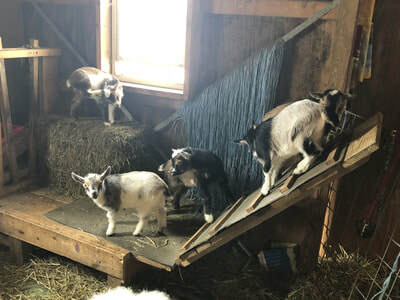 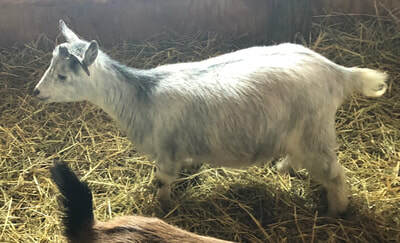 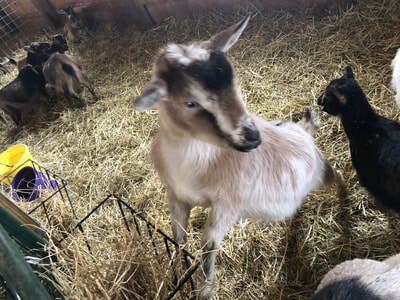 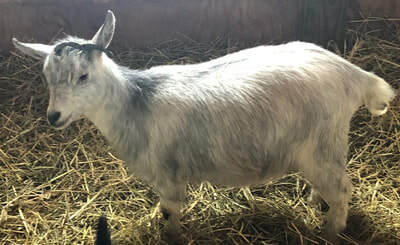 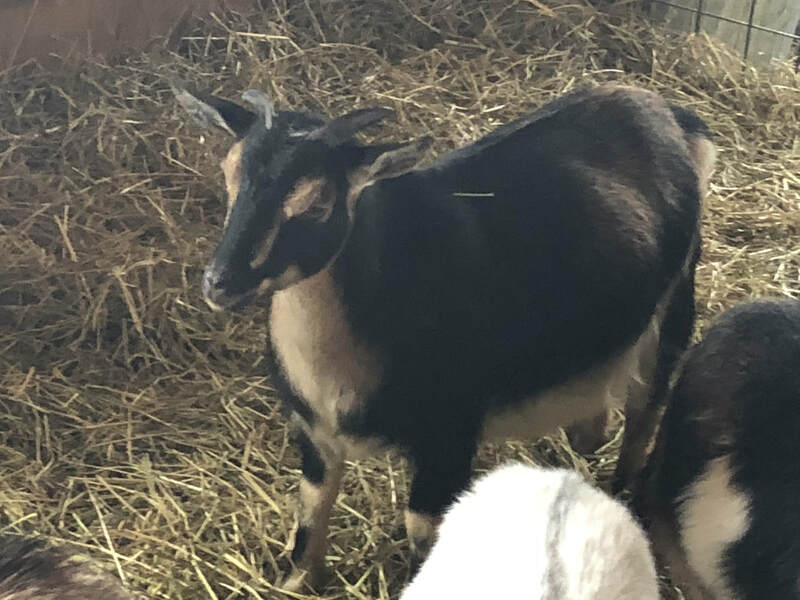 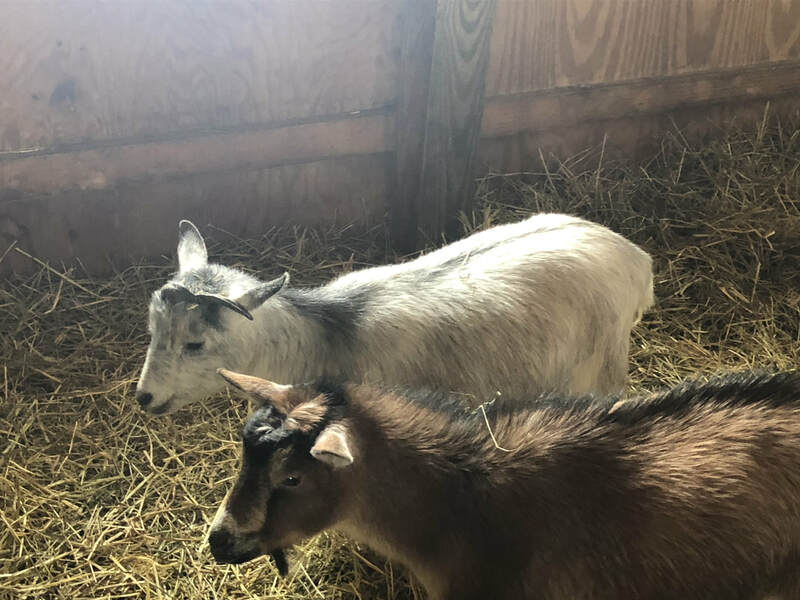 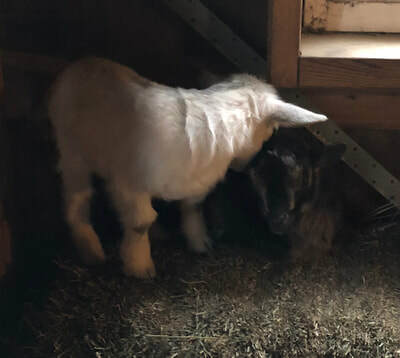 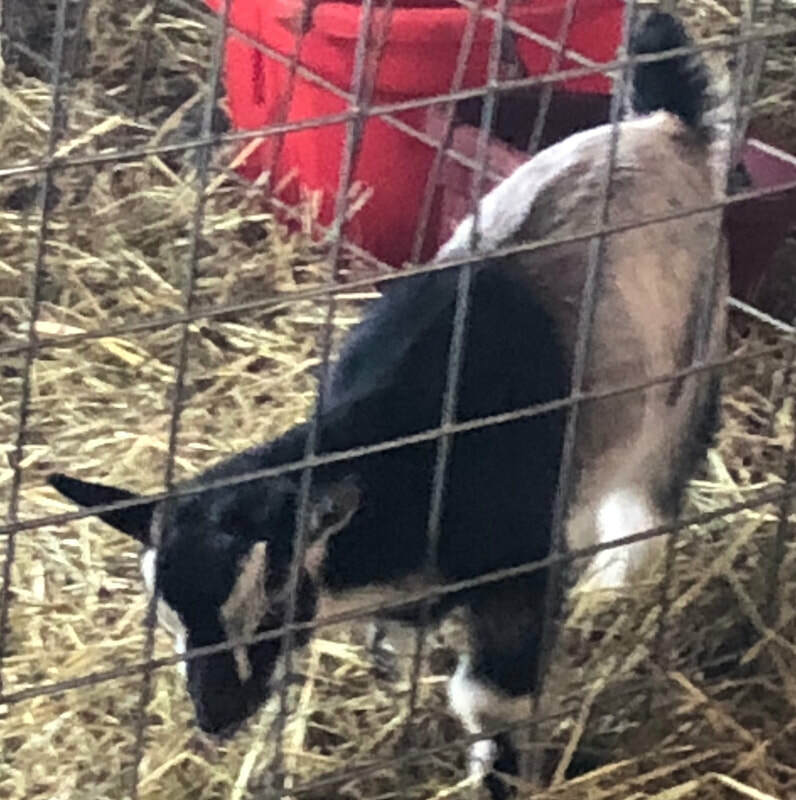 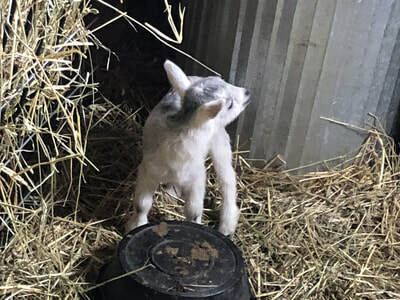 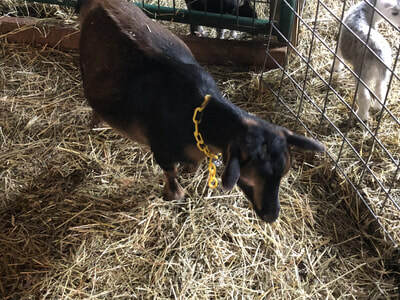 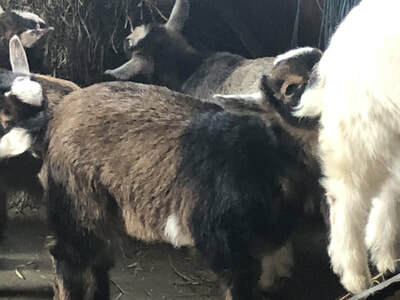 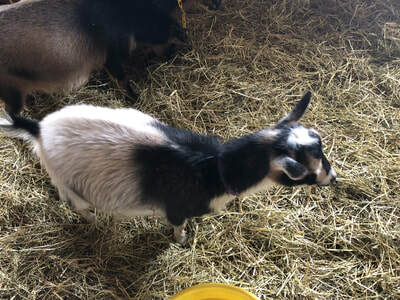 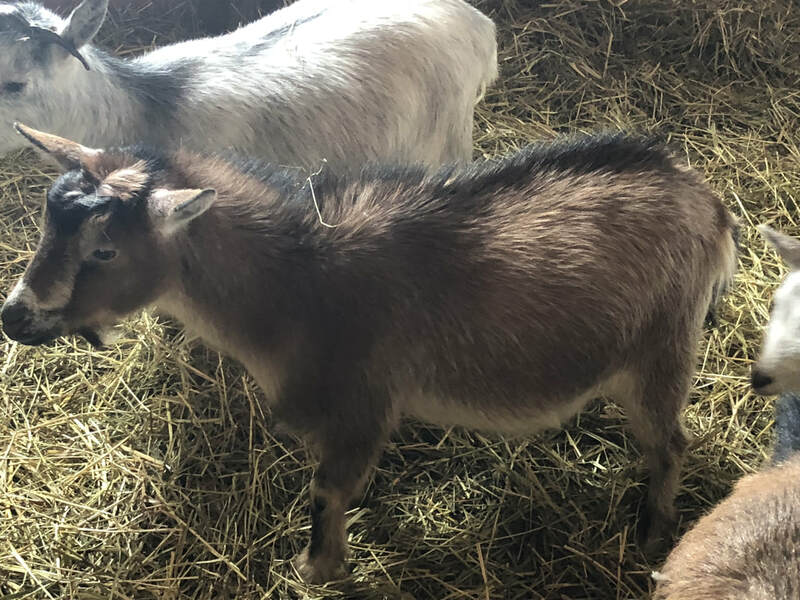 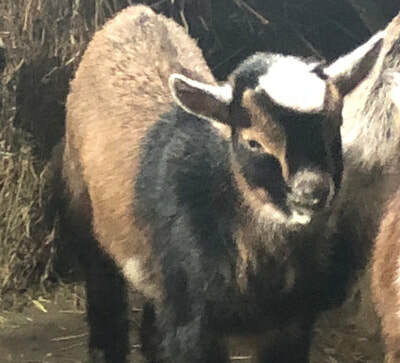 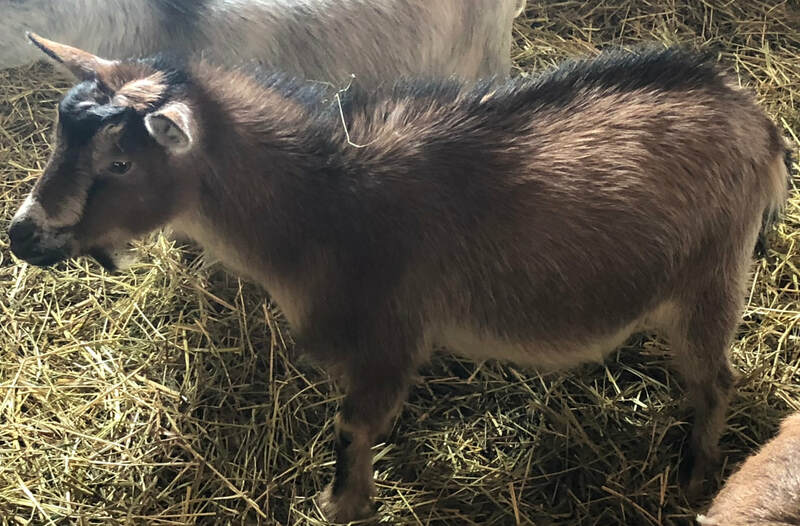 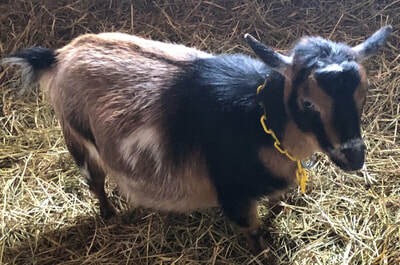 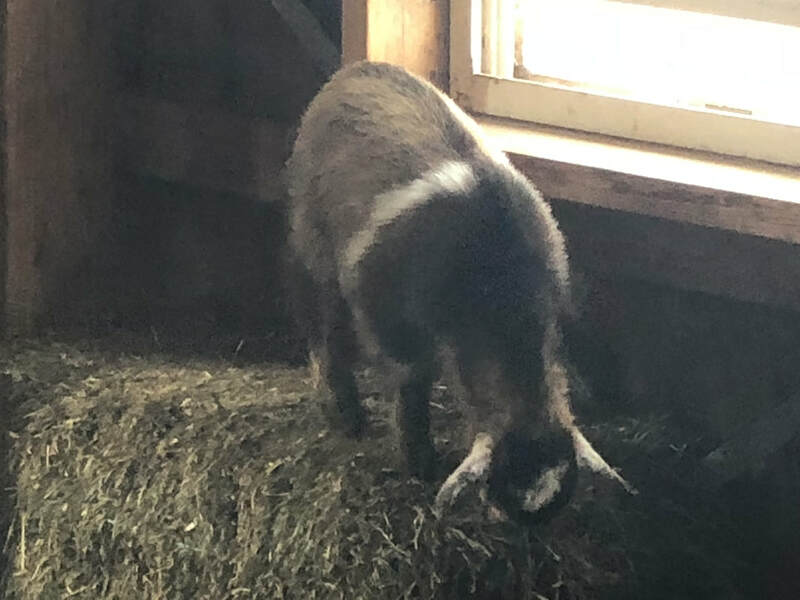 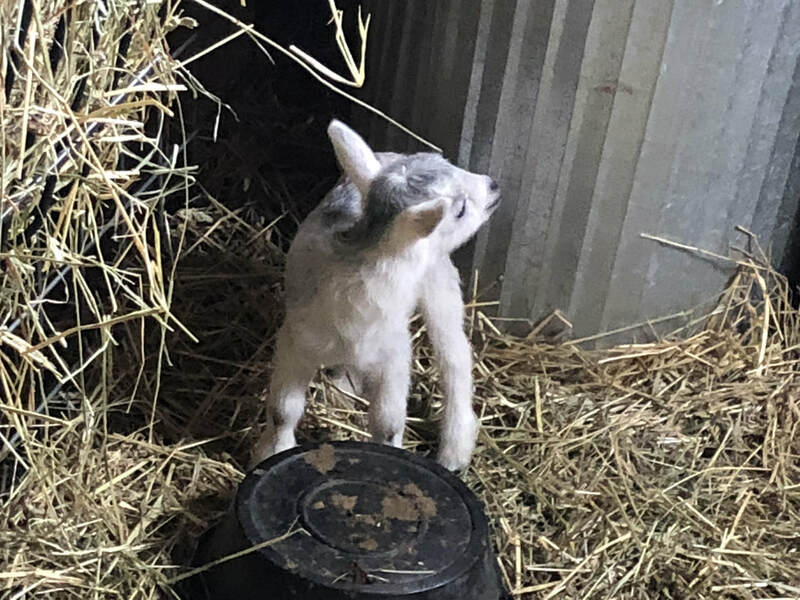 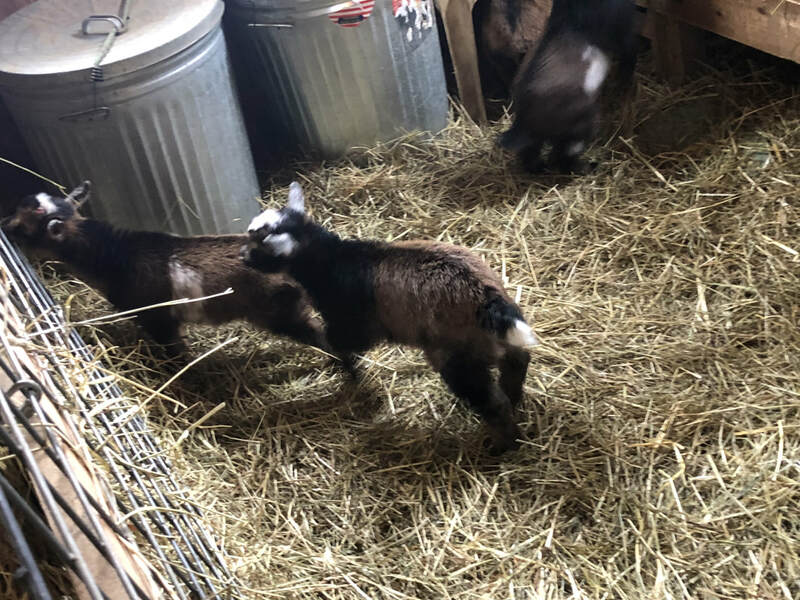 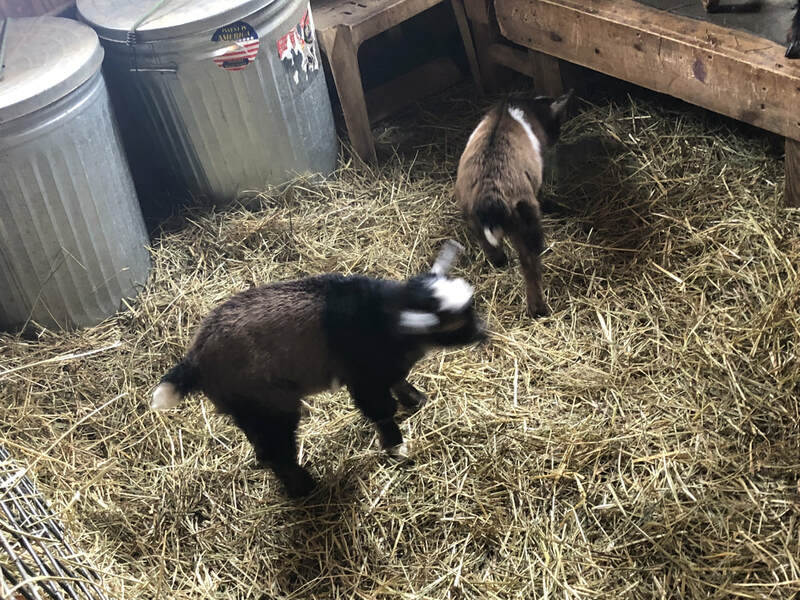 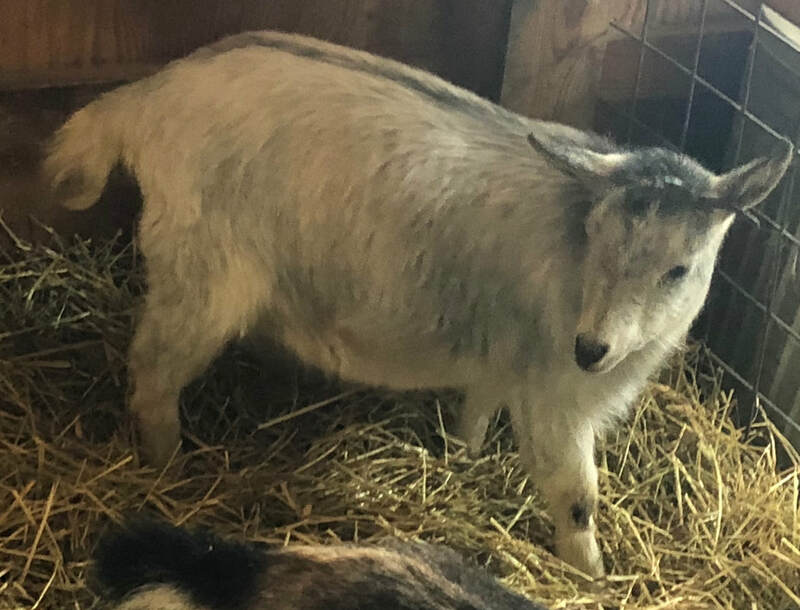 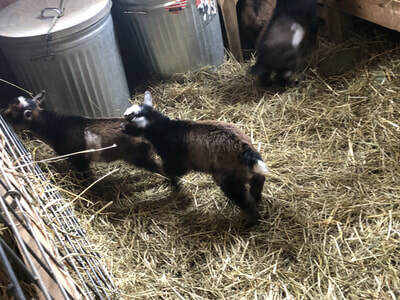 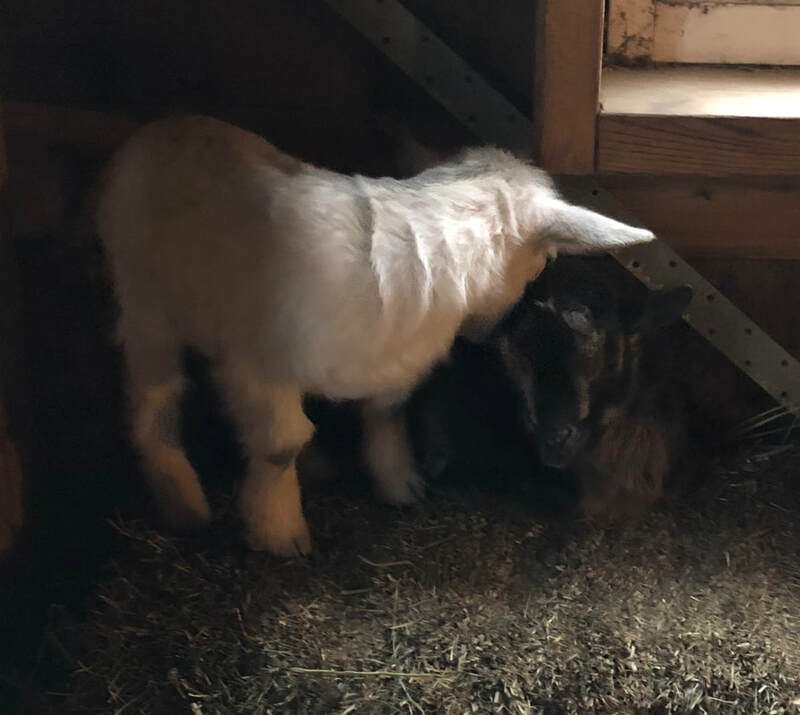 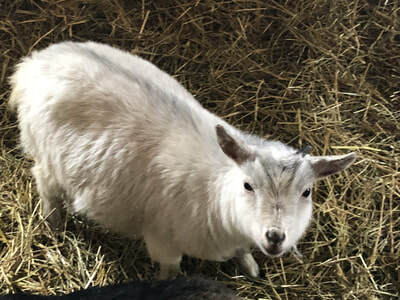 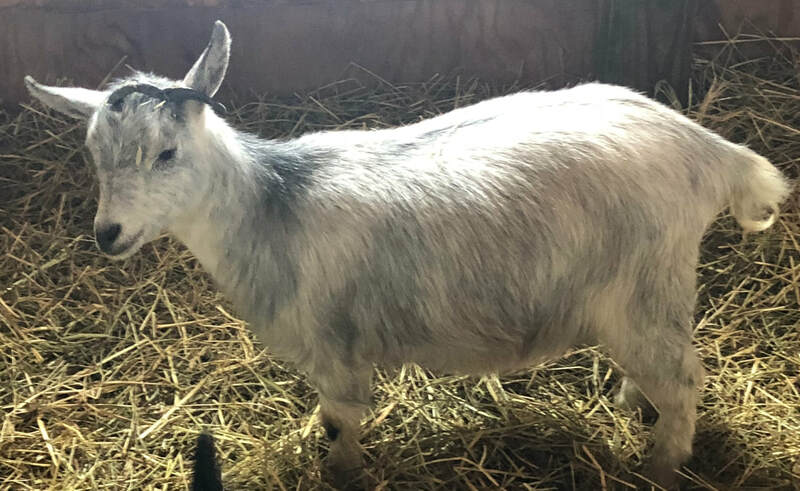 Nigerian Dwarf Goats are one of the few Goat Breeds that are able to reproduce all year long and therefore are able to produce milk all year long. 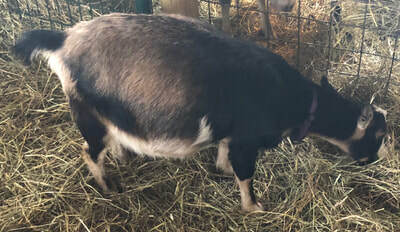 Nubians are a medium to large sized goat with adorable cute floppy ears. They come in a wide variety of colors and patterns and have the ability to produce up to 2 gallons a day, with the average being closer to 1 gallon a day. 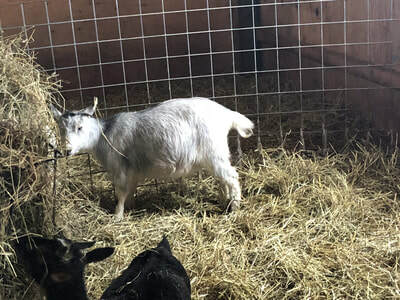 While this isn’t the highest milk producer of the dairy goats, it can produce milk all year long. They have one of the highest butterfat contents of the standard dairy breeds at 4-5%. The Guernsey is the smallest of medium sized dairy goats. They generally produce 3.16 kg of milk that is 3.72% fat. It is not legal to import Golden Guernsey goats into the United States. By crossing the Nubian and Guernsey Goats we are able to capture the best aspects of both breeds. 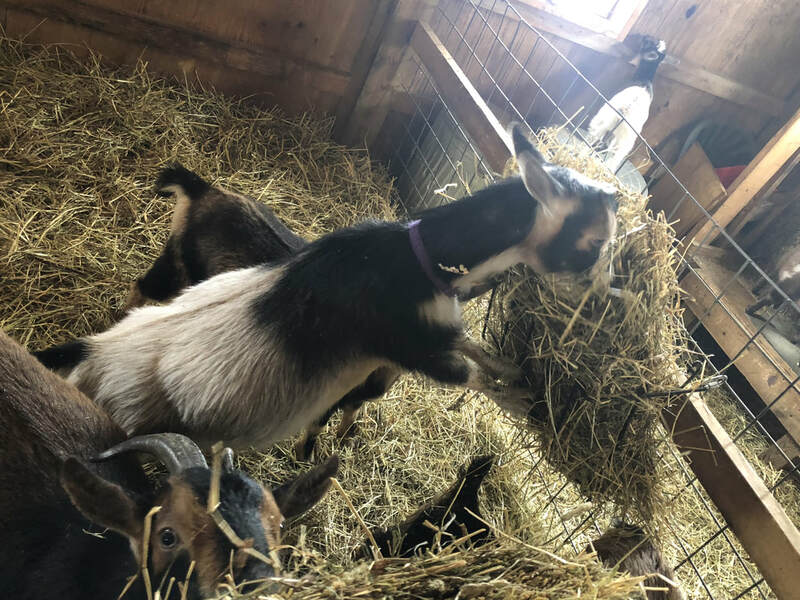 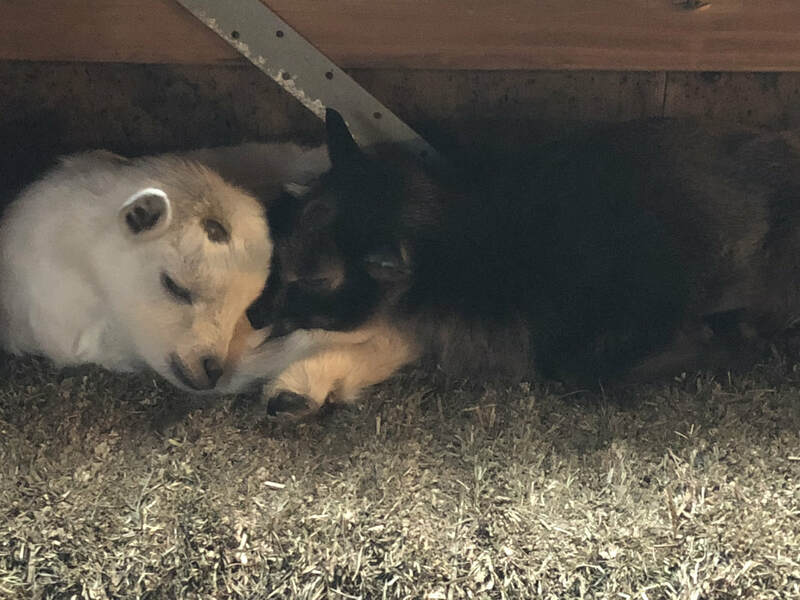 Our Goat Moms have their Babies starting in February until early Summer. We do not Kidnap (take the kids away from their moms) so all of our Moms raise their own Kids and receive as much milk as their moms will give them. 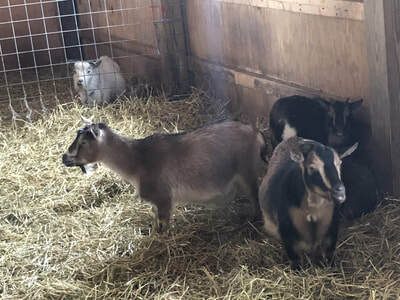 After the Kids are weaned they are available to go to their new forever homes. While the moms are pregnant we administer a CD-T vaccine one month before kidding. 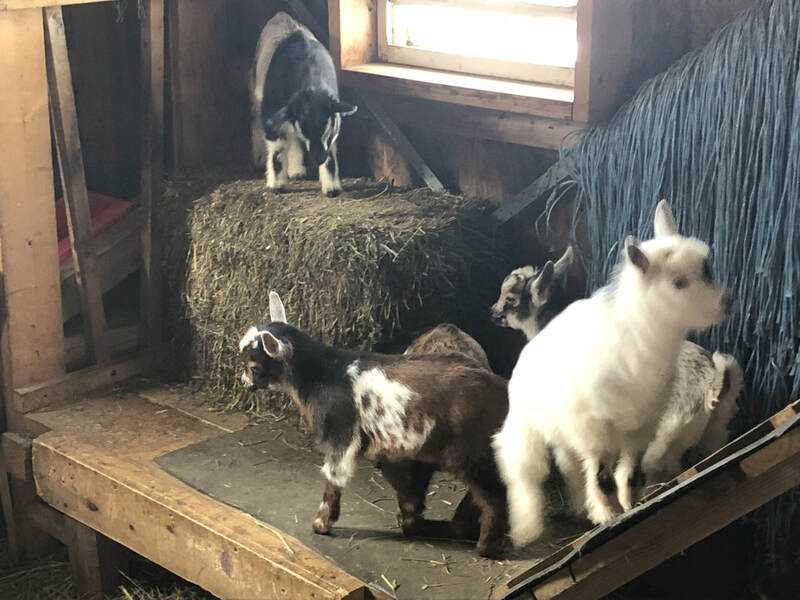 At one month of age our Kids are then given a CD-T booster. 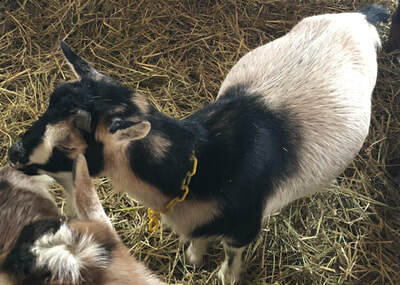 All of our Kids are disbudded to prevent their horns from growing unless the Kids will be going to a Family with Horned Goats. 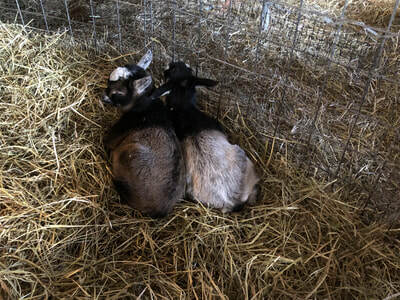 Our Newborn Bucklings can be neutered by us prior to adoption. 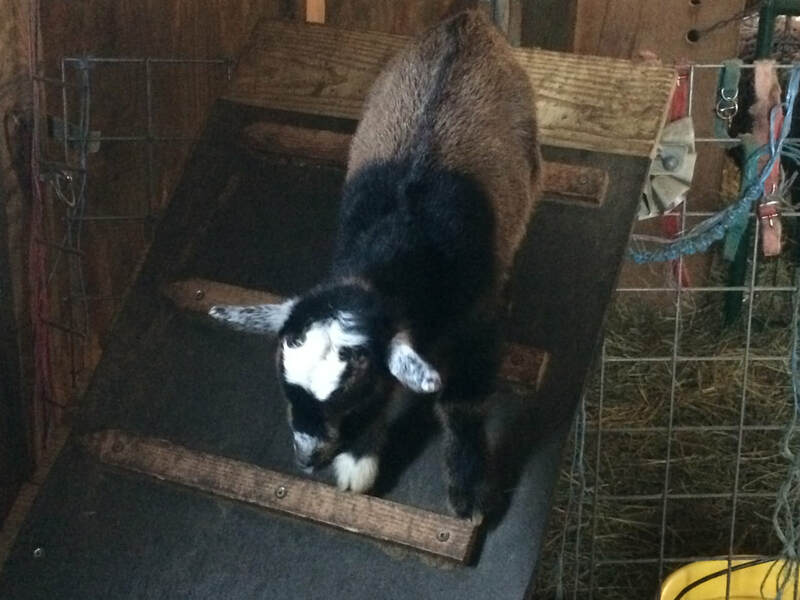 We are happy to follow your Kid-Care instructions (ie. no Vaccine Booster, no disbudding) however, a full deposit would be required before any instruction can be followed. 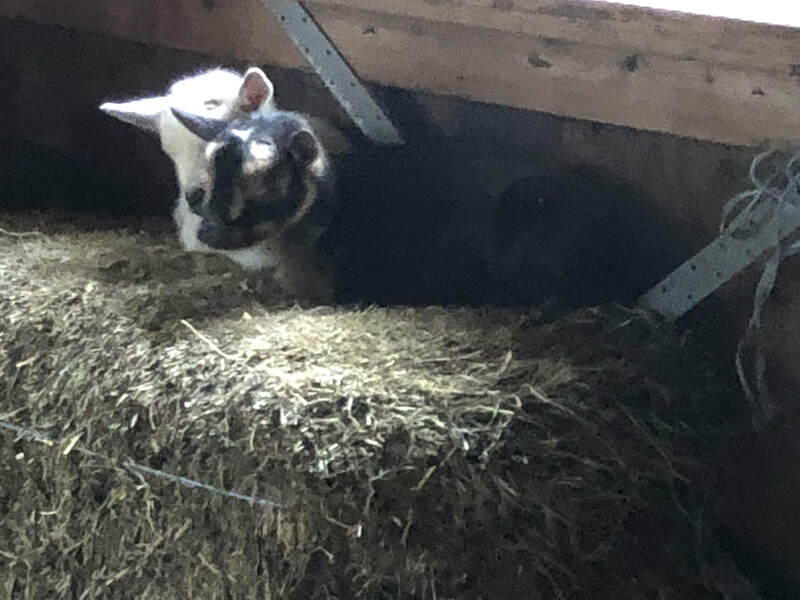 Our Goats are not registered but both Parents are on our Farm. To prevent CAE (Caprine Arthritis Encephalitis) we have a closed Herd and our Females are tested for CAE every 2 years. 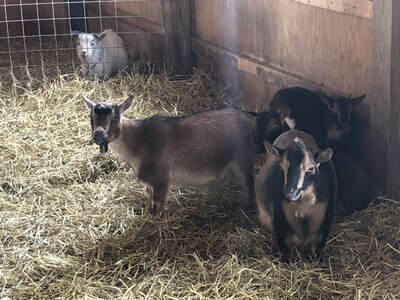 Below are our Newborn Kids and Yearlings that are available for adoption. All adoptions require a $100 non-refundable deposit for each Kid or Yearling. 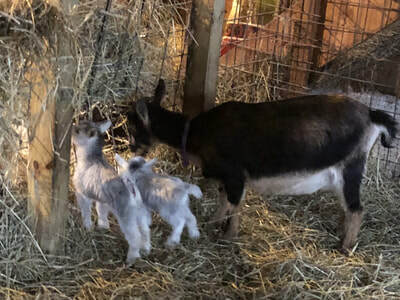 We encourage all of our Adoptive Families to come as often as they would like to socialize their new Family Members prior to leaving our Farm. 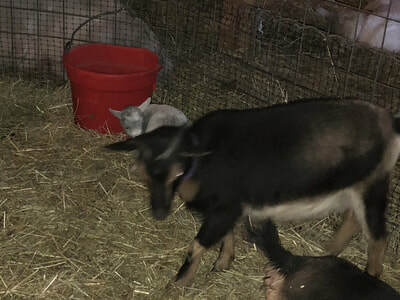 All of our Doeling Kids and Yearlings are $200 and all of our Bucklings are $150. We also will be selling first-time Mom Yearlings with their kids as one starter Herd Package. 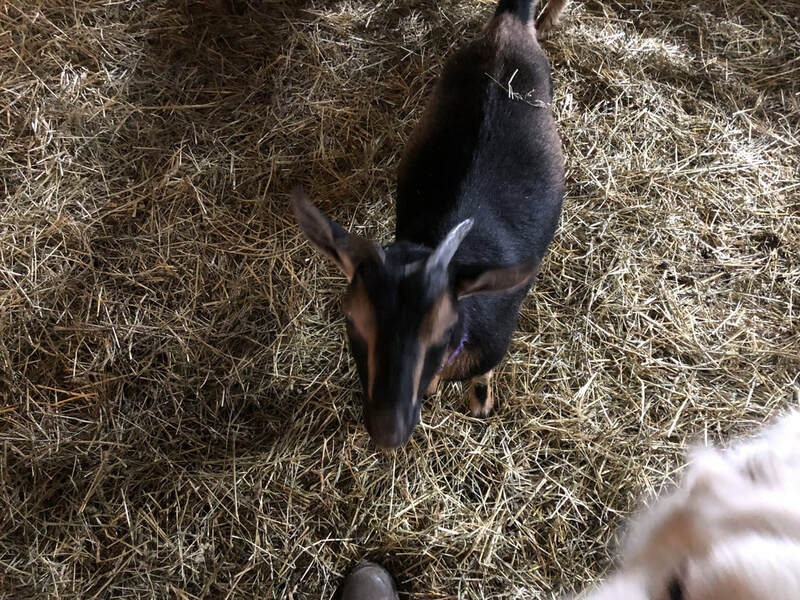 Please feel free to contact us if you have any questions. 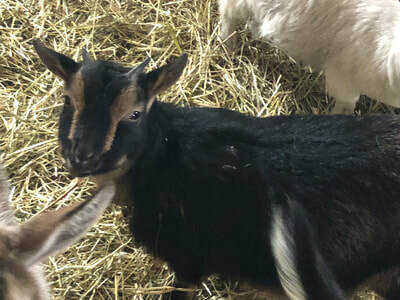 ​ Please Note: We have just started updating this page and some information might be missing while we upload all of our photos.